We always knew the video would be fun, entertaining and full of dance moves, yet this is ridiculously good. 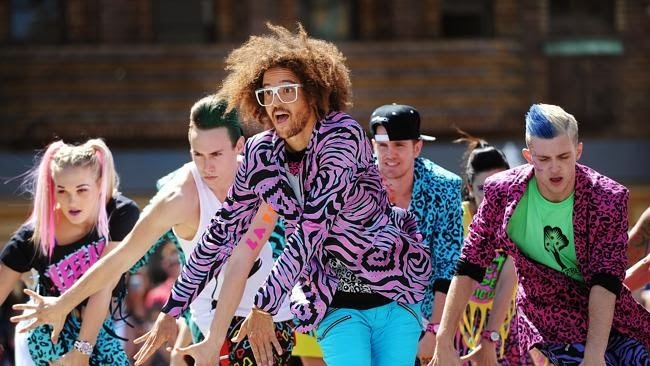 Filmed in Manly, the one half of the duo LMFAO, is on the run and gets chased by the cops, whilst grabbing some friends on the way for the odd dance breakout in the streets. The track that is written and produced by Mr Foo himself is the third single from his debut studio album I Look Good Naked! This week, when the video was released, RedFoo track mysteriously disappeared from iTunes, potentially losing the singer tens of thousands of dollars in royalties with fans being unable to be download the track. Perplexed by the event RedFoo said "People are saying the song has not been on iTunes since Saturday and has only just got back (on Monday night), but I am the one that reported it." and seems its a regular occurrence at iTunes. Strange hey! Even though RedFoo hasn't got any of his girls left in this weekend's finale, he has definitely brought so much entertainment to the show. Make sure you tune in this weekend for the X-Factor grand finale and get your copy on iTunes (yup its there again) now..!